If you visit Donostia you will notice that it is a great city, with an incredible charm. Park near its beaches, discover other views from its hills and explore the surrounding beautiful fishing villages. Escape from boredom with one of our rental scooters and enjoy it freely! Easier impossible! Enjoy it to the fullest of your days in our city. We will take the motorcycle to any hotel or accommodation in Guipúzcoa. We offer a free shuttle service if you rent for two or more days and with in Donostia-San Sebastian. 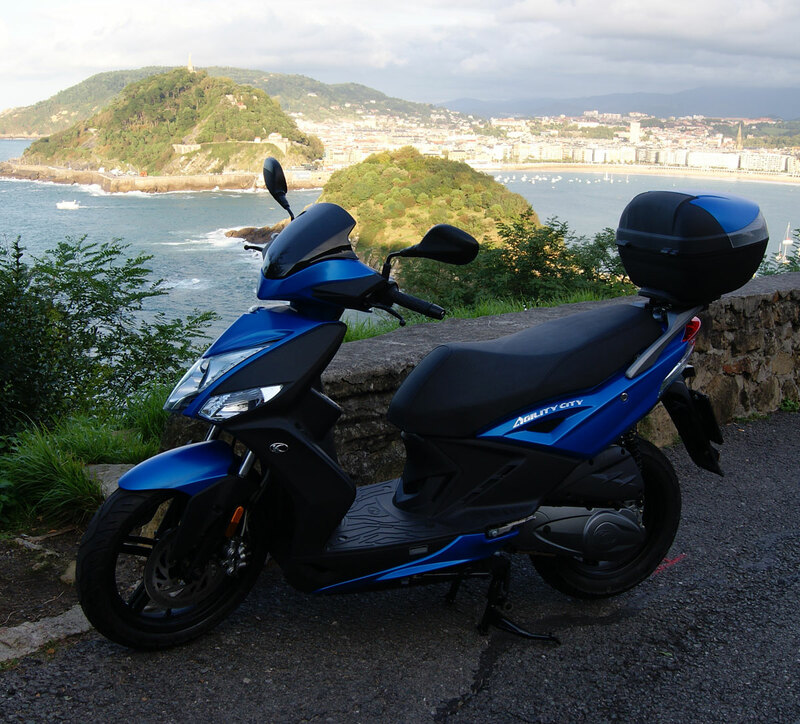 If you are not staying in San Sebastian check our rates by email rentalmotodonostia@gmail.com or by phone at +34 688 73 84 12. If you have a hotel or accommodation, contact us to offer different services to your customers. Scooters so your customers move around in the city and its surroundings. 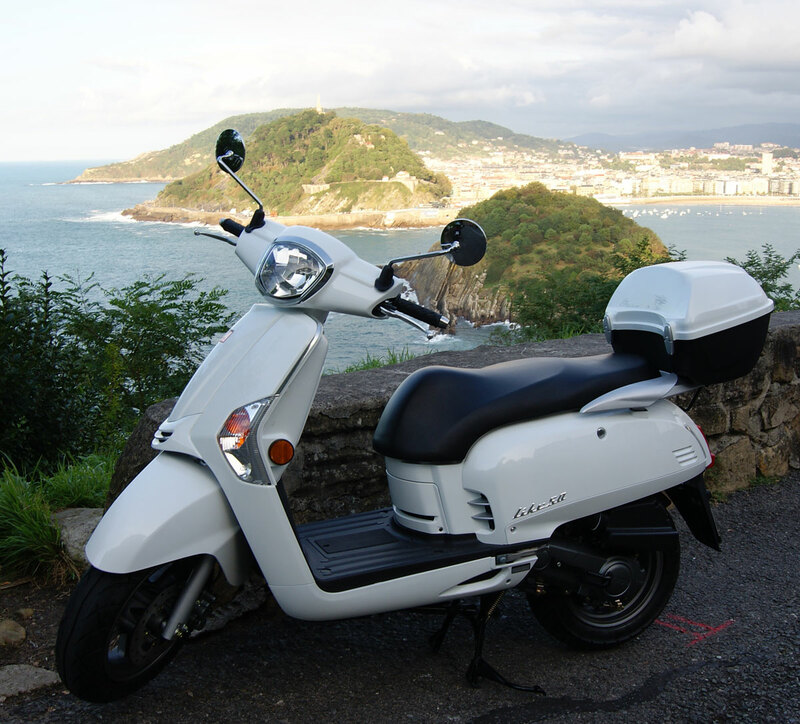 The most comfortable way to get around Donostia-San Sebastian and its surroundings. With the motorcycle Kymco Agility city 125cc you will get anywhere easily and quickly. This retro designed scooter is the ideal complement for your visits around the city and nearby towns. Spacious and comfortable for shopping, going to the beaches, to museums or to eat pintxos. We have approved helmets with safety visor and safety lock, sanitized and deodorized. You only need your passport or ID, a credit card or cash to pay the deposit and your valid driver's license for Spain or have an international driver license.